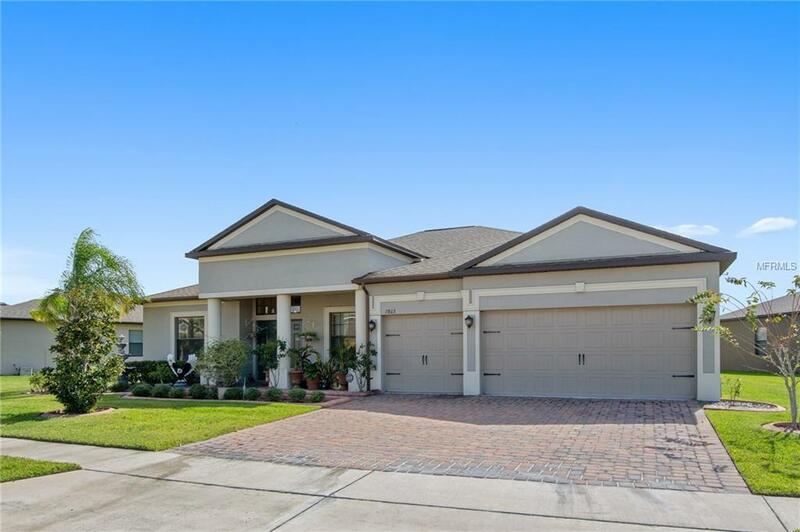 This home is located in Highly Desired GATED COMMUNITY of North Point, between East Lake Toho and Fells Cove. Zoned for great schools, including the new STEAM high school that just opened in 2018. You will be at LAKE NONA'S DOORSTEP WITHOUT PAYING LAKE NONA'S PRICING. As you pull up you will appreciate the manicured lawn & garden as well as Large 3-car garage drive way. Upon entering you will feel right at home. 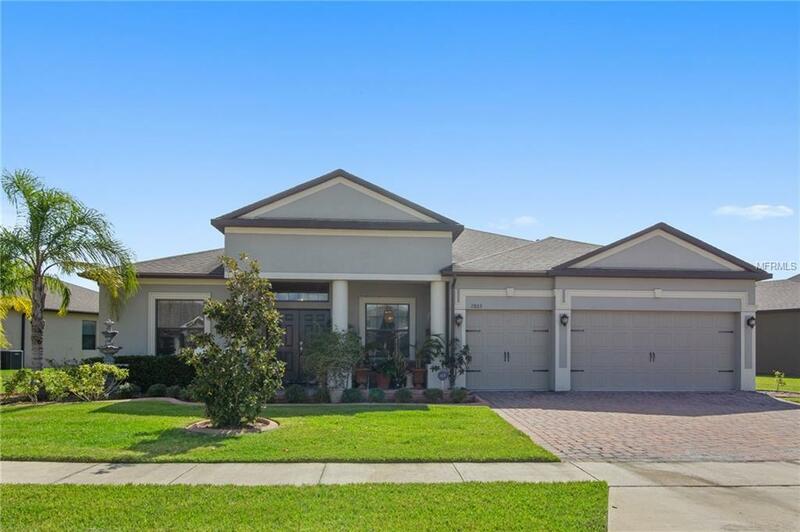 Double entry doors, Tall Ceilings, Crown Molding, Upgraded Lighting Fixtures & Tile Floors Throughout are just SOME of the spectacular features this home offers. 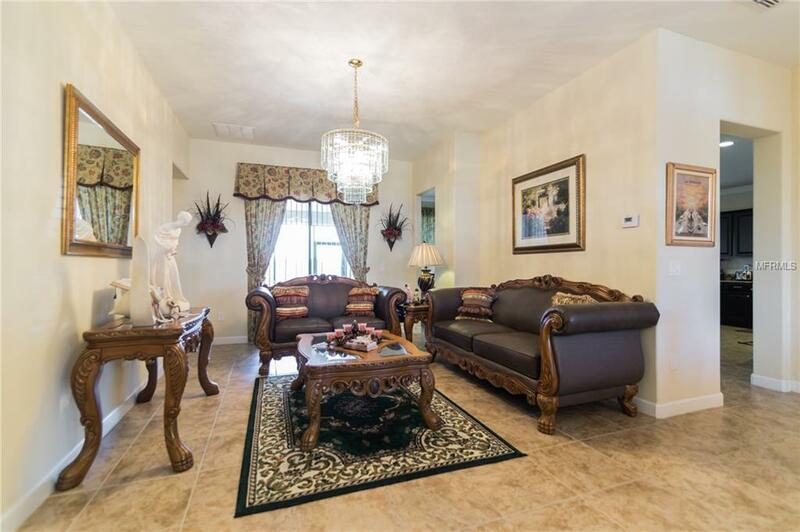 The Large Foyer greets you then the Living & Dining. The Master Suite takes up the entire left side of the home w/ a Large Master Bath fit with Dual Sink Vanity, Garden Tub & Walk-in Shower. A great feature about this side is the MULTI FUNCTIONAL Den/Study as it attaches to the Master or can be its own separate room. The fully upgraded Kitchen offers, Recessed Lights, Multi Level Expresso Custom Cabinets, Granite Counter Tops, HUGE Breakfast Bar & complete set of Stainless Steel Appliances. This side of the home also offers a PRIVATE GUEST SUITE w/ access to a separate bath. And as if it were not enough it also offers its own 2nd floor retreat that can be used as a Theater, Game Room, or Private Room w/ its own bath. All nestled on a BEAUTIFUL CONSERVATION LOT w/ NO REAR NEIGHBORS. 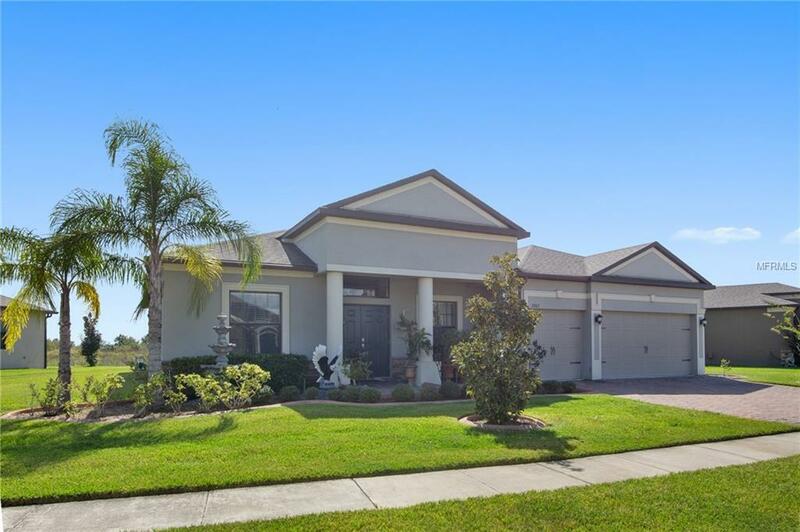 Close to shopping, main roads, schools, medical, the airport and Central Florida's attractions. Call today for more details.